Wood is a material with vitality and warmth. 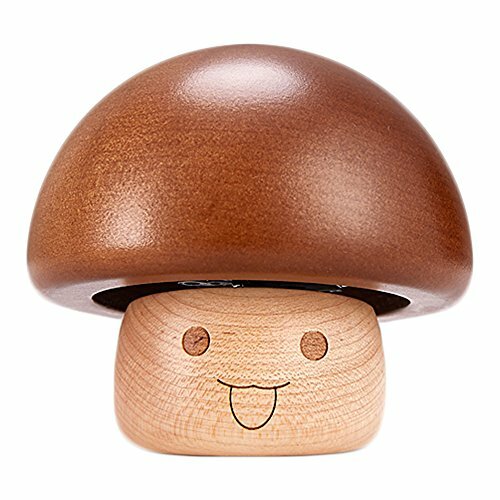 We are dedicated to using the spirit of a tradesman to reflect this beauty.Cute mushroom fun music boxes decorate your life and waken childhood memories . *Packaged in a gift box, it can be used as a gift for friends, colleagues, family, children, etc. *Cute mushroom shape is perfect for decorating the living room. Made of high quality wood, hand sanded and textured with cobblestones. Great for your home ornament, Christmas decor, kids toy,also a great item for display and perfect for any music box collector. If you have any questions about this product by Sunyou, contact us by completing and submitting the form below. If you are looking for a specif part number, please include it with your message.